The Bay Area never really felt the housing bubble burst as much as other parts of the country. Housing inventory in highly desired areas like Los Gatos was always small for the amount of demand, hence the astronomical prices of homes. The mountain views, excellently regarded public school system and the walkable downtown area are big draws, bringing more and more interest from potential home buyers. Accordingly, wealthy families that can afford these prices continue to flock to Los Gatos and price many middle class families out. It’s no surprise to anyone familiar with California that home prices in the Bay Area are among the highest in the nation. Between long-standing, old money wealth and the newer influx of high tech creative types in Silicon Valley, home prices continue to rise. 2013 looks to bring little change to these conditions. 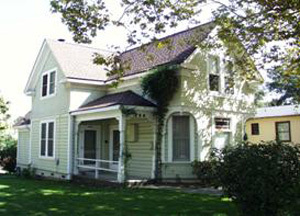 Over the course of 2012, the median home price in Los Gatos rose from $1.1 million to nearly $1.3 million. More houses are being sold as well; there was a 23 percent increase in December 2012 over December 2011. This price increase is on the low side for the Bay Area residential real estate markets, meaning the Los Gatos market has not been getting a lot of press. At the end of the day, home buyers face a challenge in Los Gatos, a wonderful, highly desired area prone to high prices and low inventory. It isn’t all bad news, though, for home buyers interested in Los Gatos. One of the unique characteristics of this town is the wide array of housing options. You’ll find beautiful historic mansions in the downtown area, smaller historic cottages, brand new mansions in the hills, and even modern condominiums. More choices can only be good for a buyer. Open your mind to new options. There was a house that recently sold for under $250,000, less than a quarter of the area’s median home price. While it was only 800 square feet, it just goes to show a little creativity can go a long way. Of course, if you can afford it, the multi-million dollar homes of Los Gatos are some of the best living spaces and views the region has to offer. Abby Pfeiffer is a real estate analyst for New Home Source.